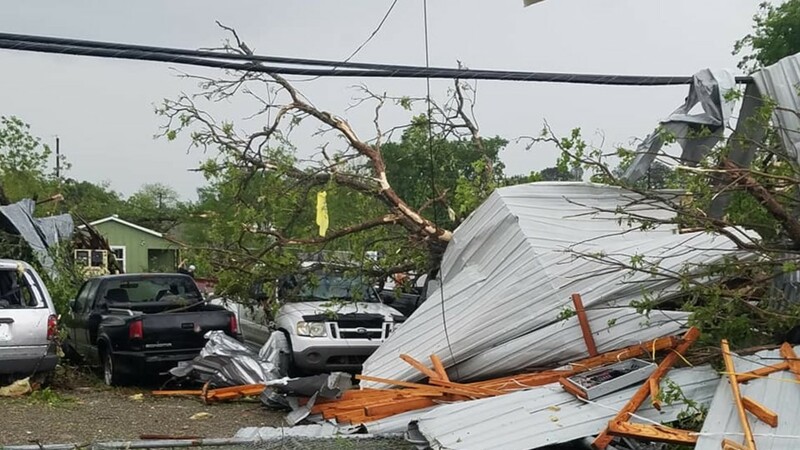 FRANKLIN, Texas — The tornado that swept through Franklin Saturday destroyed 55 homes, a church, four businesses and a duplex, Robertson County Emergency Management Coordinator Billy Huggins said at a press conference Sunday morning. Huggins said one trailer home with five people in it rolled over multiple times, throwing every person out of it. Amazingly, Huggins said none of those people were seriously hurt. 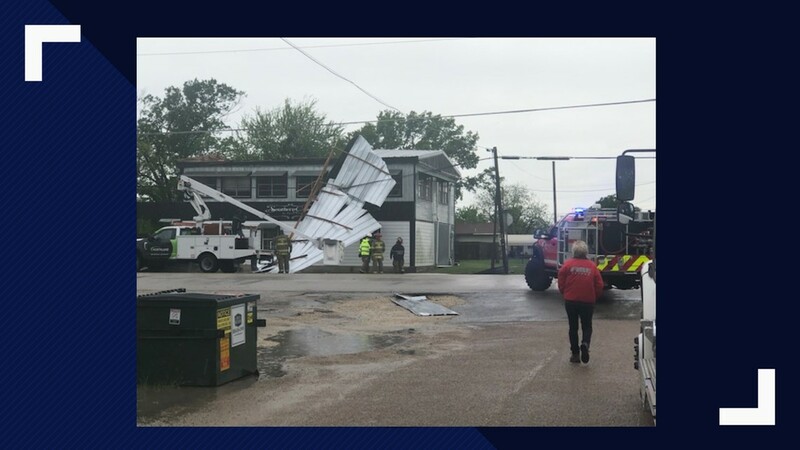 The National Weather Service in Fort Worth estimated the peak wind speeds reached 140 miles per hour within a two block corridor on the south side of town. 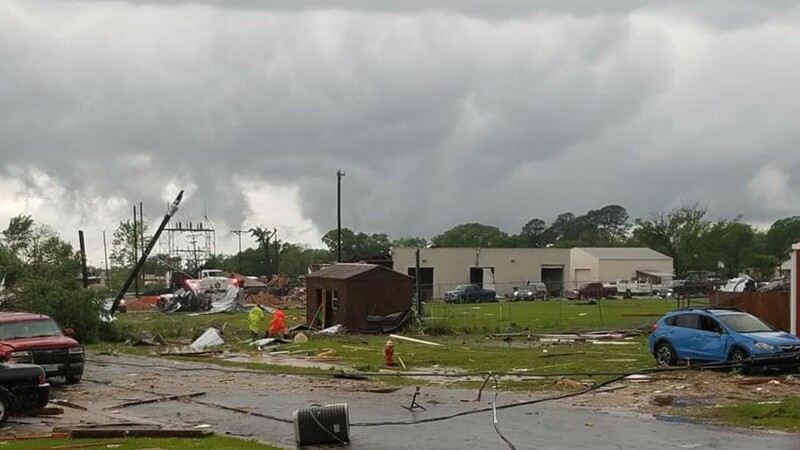 By the time the EF3 tornado had moved through town, around a dozen people had been injured, according to Laura Thibodaux with the CHI HealthPoint clinic in Franklin. 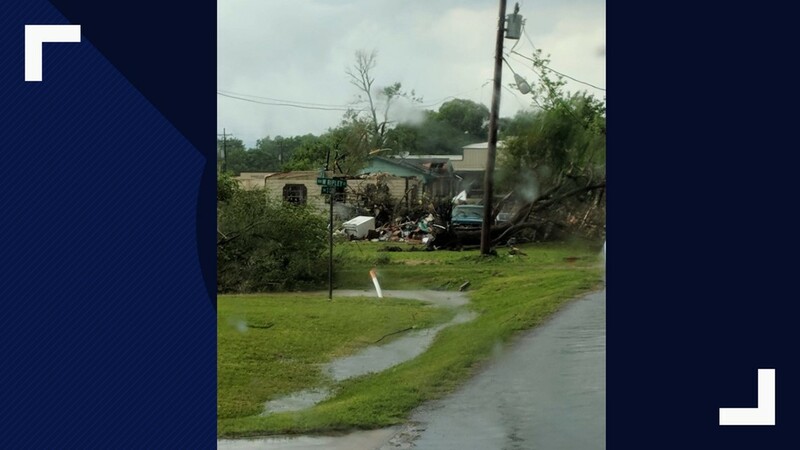 Thibodaux said she had 15 patients at the First Baptist Church, which was set up as a shelter for storm victims. She said the injuries were limited to mainly lacerations, sprains and bruises. Thibodaux said she was working closely with a pharmacist to get people the medications they need. Electricity was still out for at least 4,000 homes. Officials said they expected to have electricity back for 3,400 by Sunday night. The remaining 600 were expected to have power restored by Monday night. 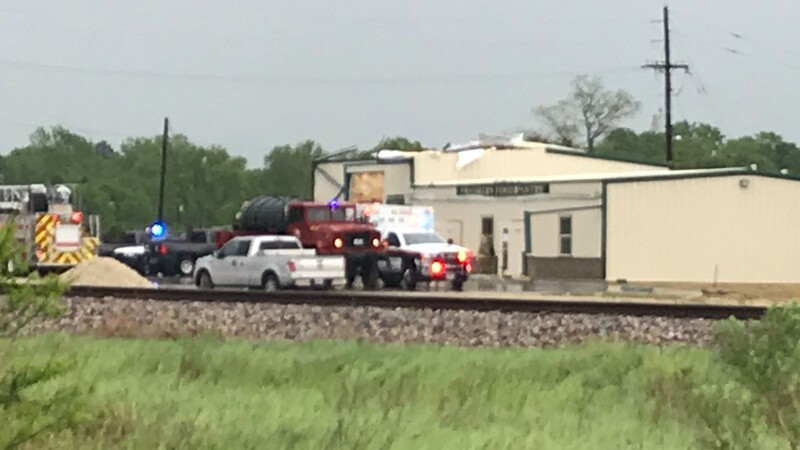 A major power line was damaged along Hwy. 6, making repairs take longer than expect, City officials said. Officials said the entire city would be under a boil water notice for three days. One hundred forty crews were working to restore power, Huggins said. He also stressed for anyone using a generator to not use them inside their homes. 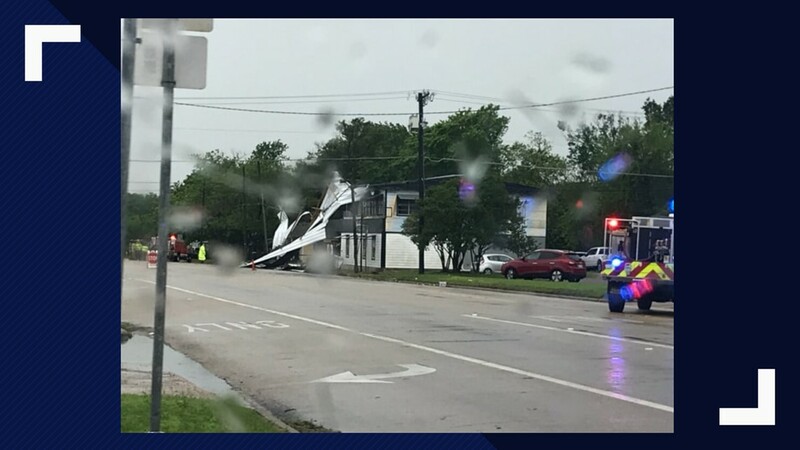 Anyone who sees power lines down was asked to call 979-828-3299. Huggins said if a line is down to assume it is still live and not go near it. Huggins stressed donations were no longer needed but they did need volunteers to help with the cleanup. 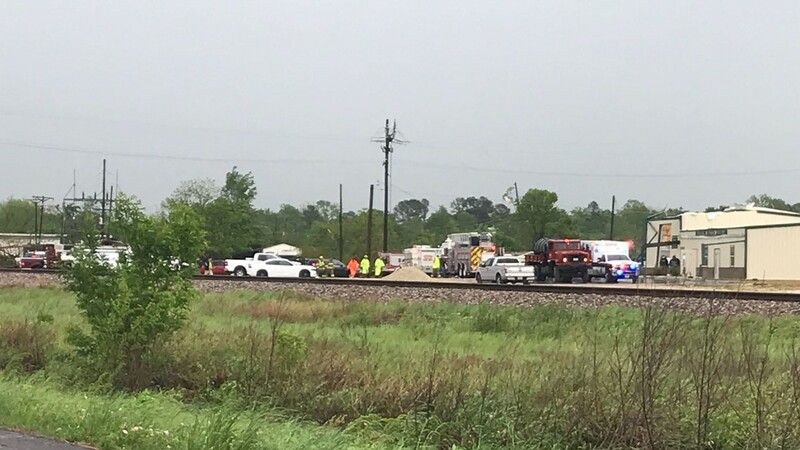 Huggins said anyone wanting to help should call 979-828-6680 and not just show up without calling. 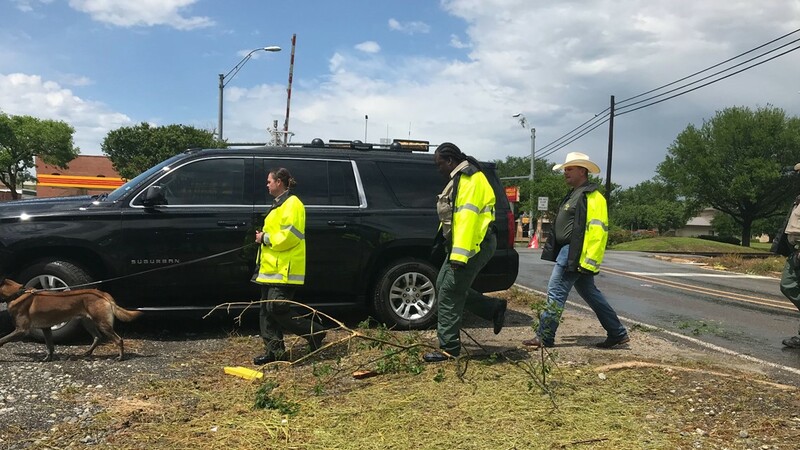 Emergency management officials said nonessential personnel driving around damaged areas were creating traffic problems. 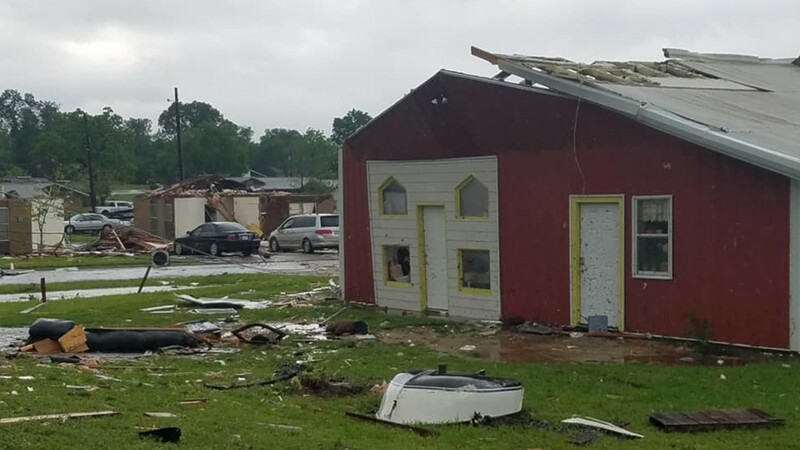 The Mud Creek Country Store was open Sunday and could provide fuel and groceries, Huggins said. Huggins said there was also plenty of food at the First Baptist Church. Huggins said the Loves store in Hearn was another place people could go for fuel and food. 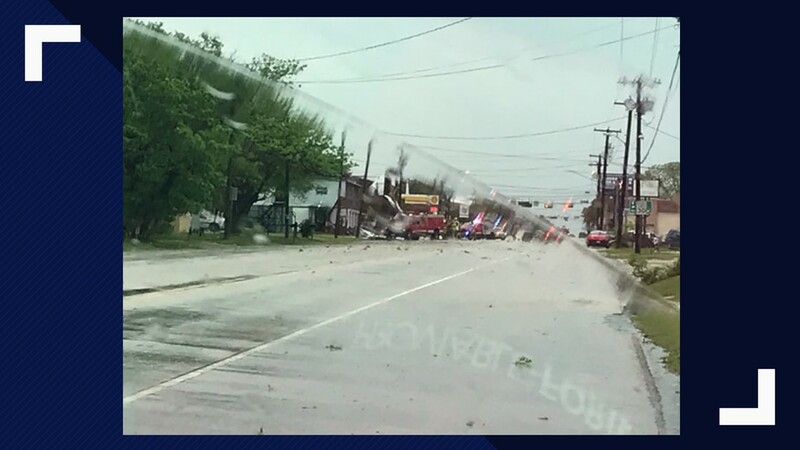 Roof camera video from the Robertson County Sheriff's Office captured the true picture of how the storm left damage from one side of town to the other. 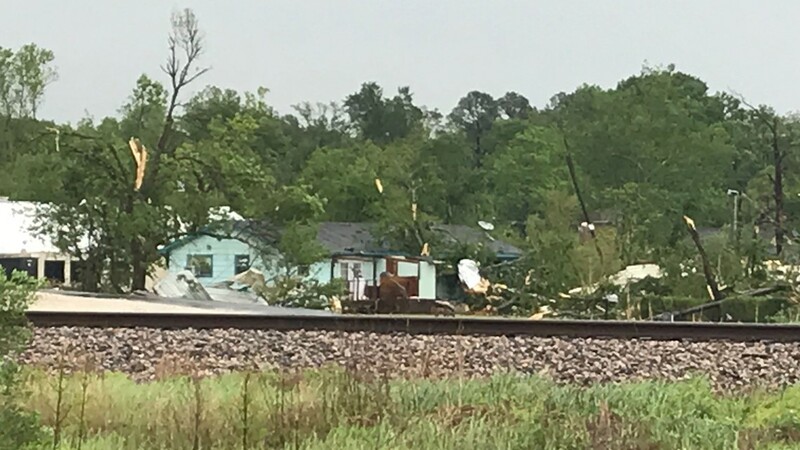 Viewer photos show trailer homes ripped apart, power lines knocked down and trees on top of cars. “It's heartbreaking. You do what you can. We walked here to see if we can help anybody do anything," said Michelle Edwards whose home was damaged in the tornado. "Now we are stuck on this side of town. 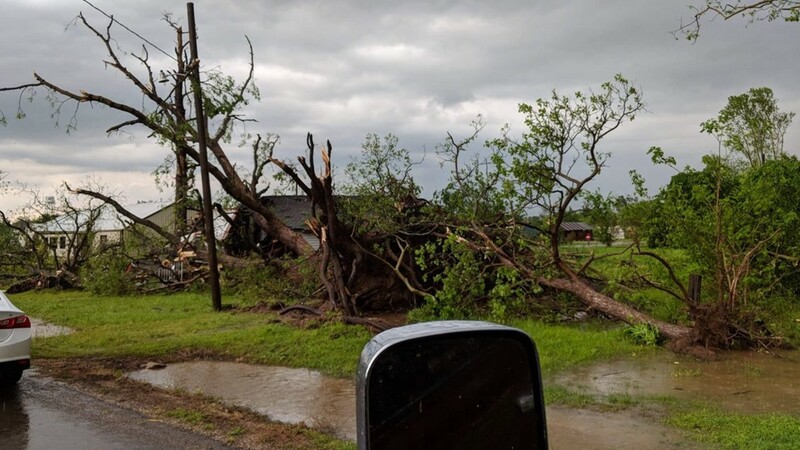 We can't go to our house right now because the power lines and stuff are down and they are clearing out the power lines and the debris and everything before we go home to make sure it's okay for everybody." 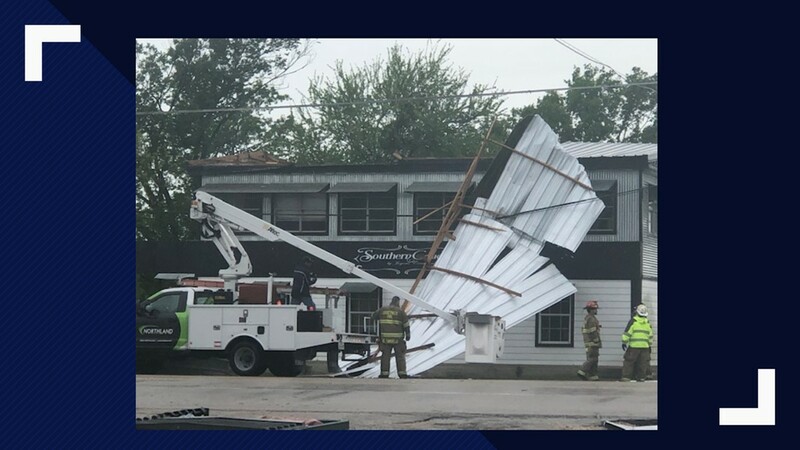 Officials said the south side of Franklin was totally destroyed by the storm. The curfew continued into Sunday night. 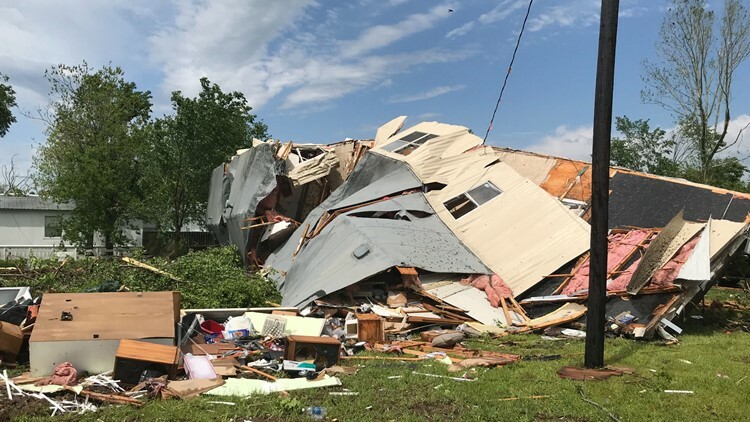 Robertson County Sheriff Gerald Yezak called the damage the worst he's seen in 23 years. Yezak said no arrests had been made overnight Saturday into Sunday morning. He said a constant law enforcement presence remained in place. 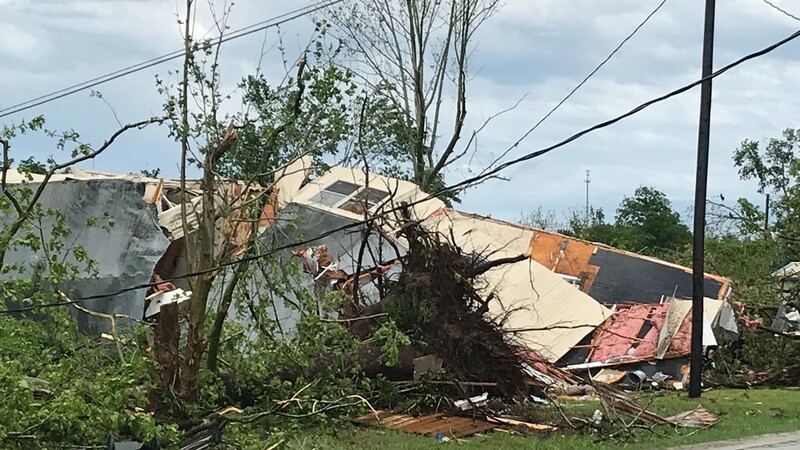 The Limestone County Sheriff's Office said there was structural damage in some parts of the county. One man told Channel 6 he had to be pulled from his home that collapsed. 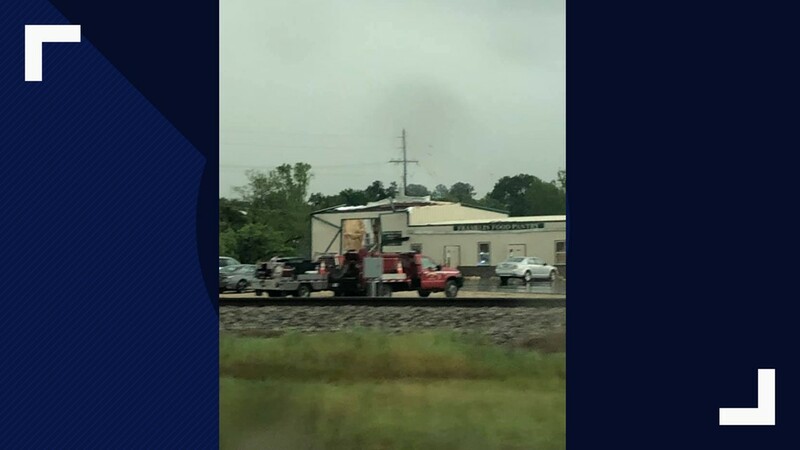 Neil Sanger posted video to Twitter of what appeared to be a funnel cloud. He said the video he took was southeast of Franklin. 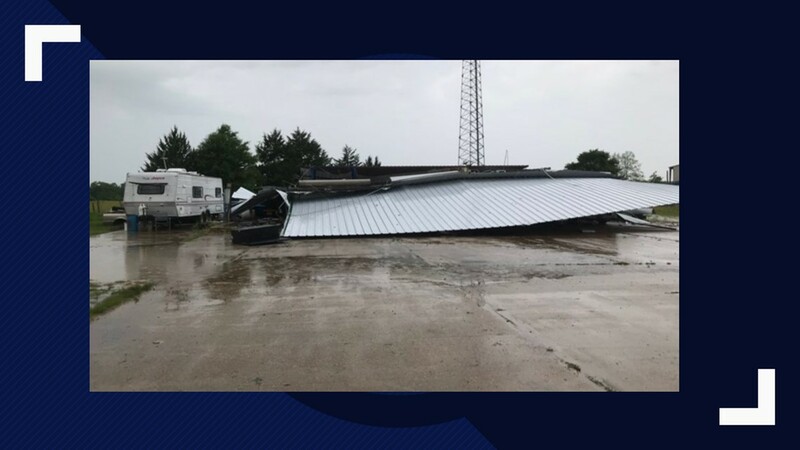 The Franklin Independent School District tweeted out that it would postpone its prom because of the storm damage. The dance will be held on April 27. 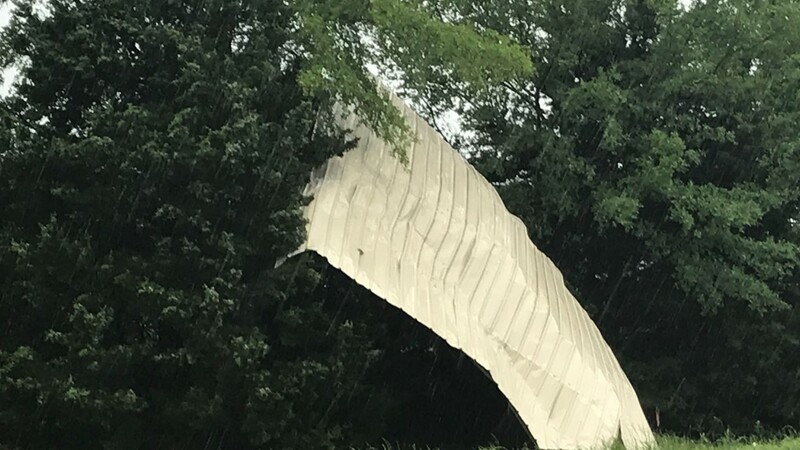 There were also reports of major damage at the Franklin Drive Thru Safari. 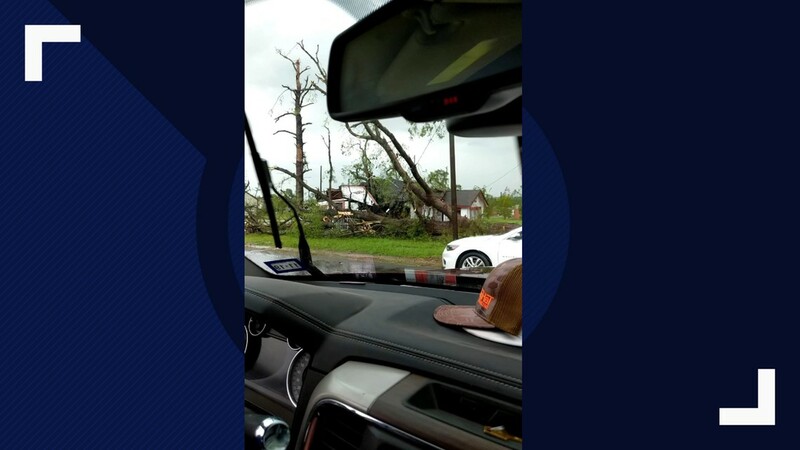 Tyler Daw, who works at the facility, posted to his Facebook page that "fences and trees were down everywhere." Daw said no animals were hurt and none had escaped. Daw said the park is home to more than a hundred different kinds of hoofstock. 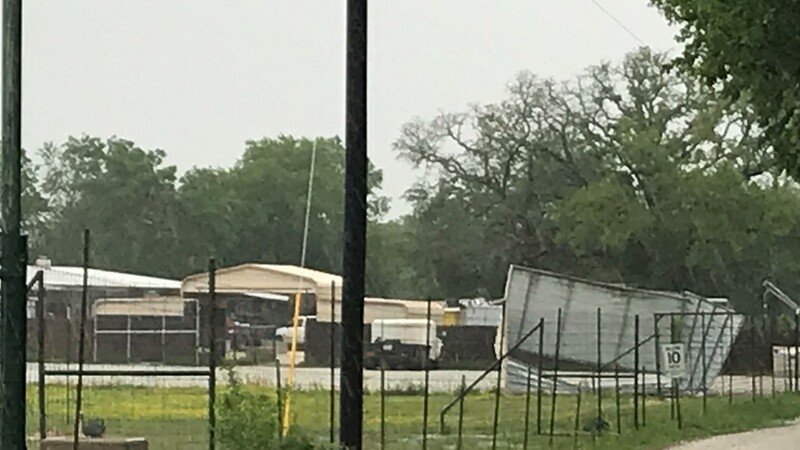 A viewer sent pictures to our Facebook page of what appears to be tornado damage in Groesbeck. 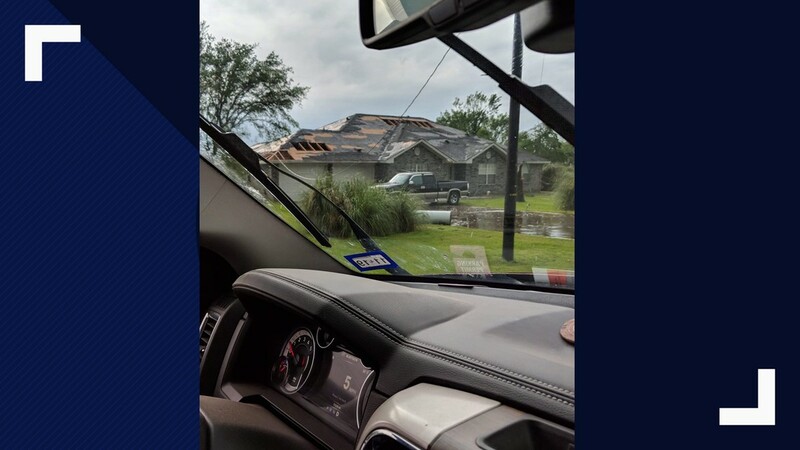 Damage was reported in the Central Texas area as severe weather and tornadoes pushed through the area on April 13, 2019. 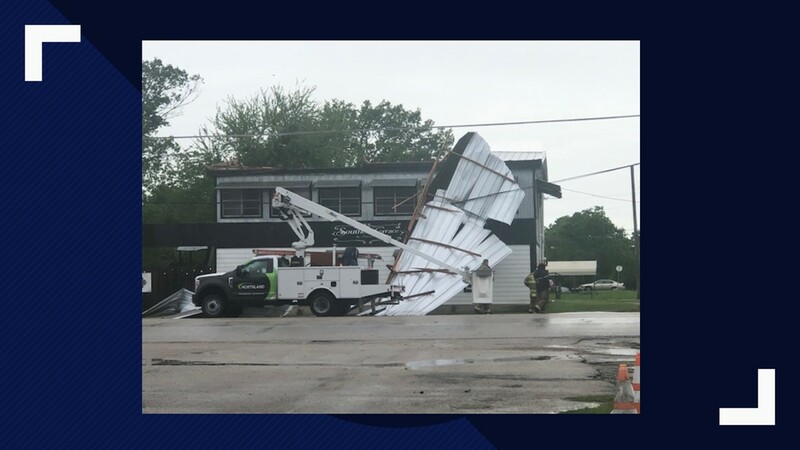 Damage was reported in the Central Texas area as severe weather and tornadoes pushed through on April 13, 2019. 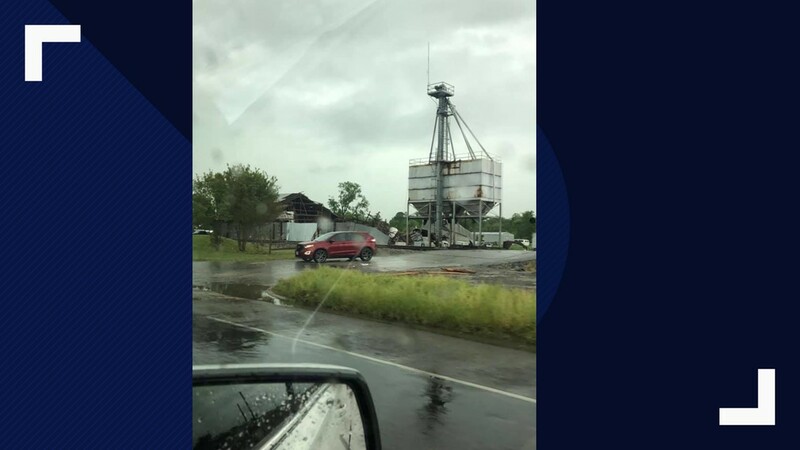 A confirmed "large and extremely dangerous tornado was located near Calvert, or near Hearne, moving northeast at 30 mph," the NWS said on Twitter Saturday. 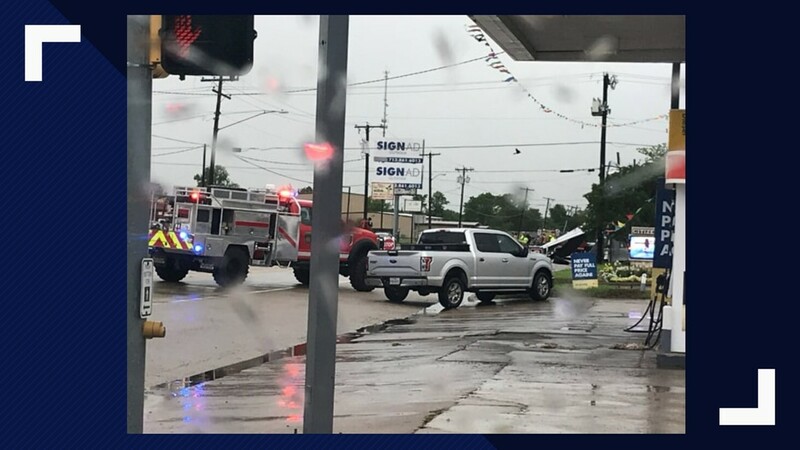 Multiple crashes were reported on I-35 due to the heavy rain, the Waco Police Department said. Sunday morning lows will bottom out in the lower 40s. Sunday afternoon will be sunny, with highs in the 60s.